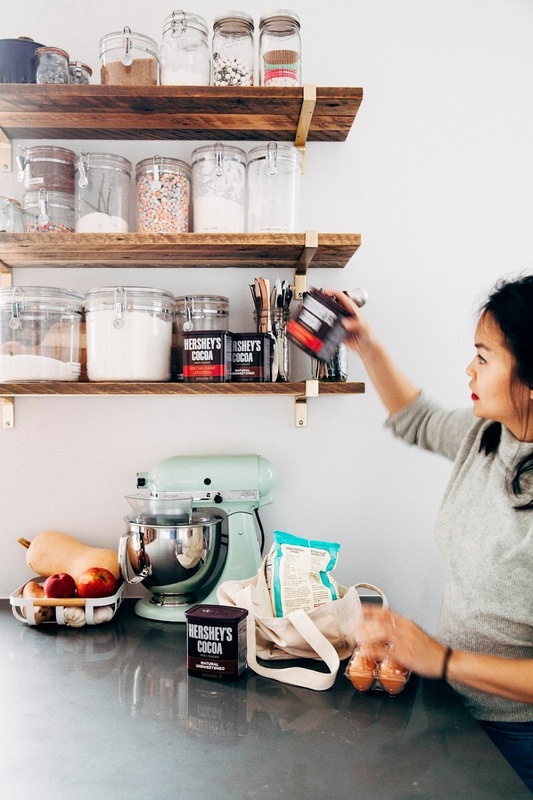 I've partnered with HERSHEY to give you guys a quick tour of my pantry and bring you this recipe for chocolate sugar cookies! 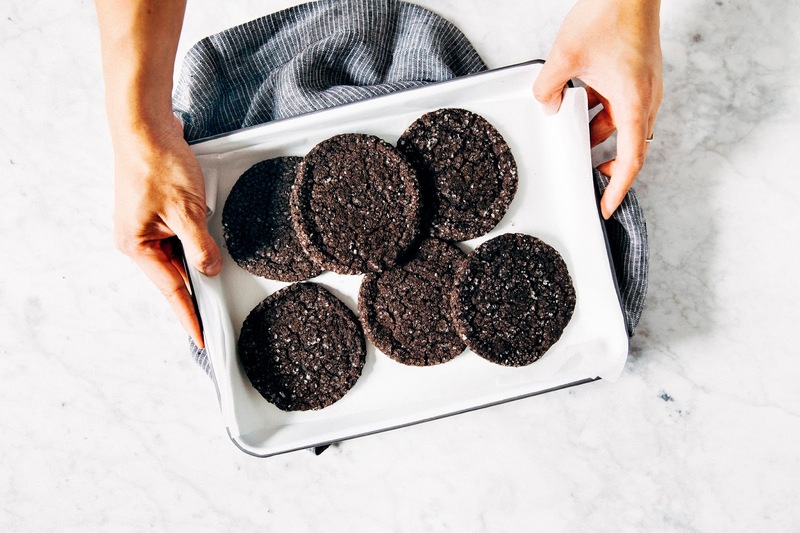 These chocolate sugar cookies come together from just the basic ingredients found in e very baker's pantry. 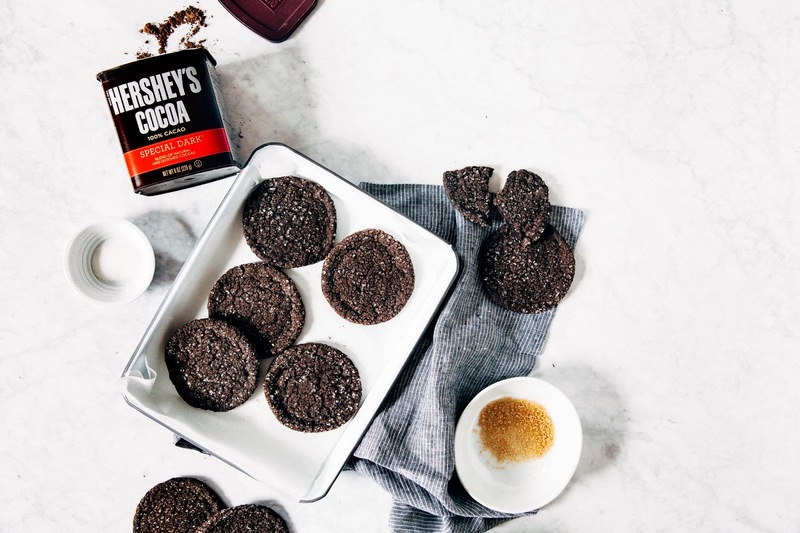 Packed with a ton of chocolatey goodness flavor from HERSHEY'S SPECIAL DARK Cocoa, the cookies are soft and crumbly in the center, with crisp edges and crunch from the sanding sugar. I'm a sucker for trying out unexpected flavors and new ingredients. Like, heck yeah, I'll put saffron and rosemary in my cakes, beets and hibiscus in my frostings! Obscure, regional ingredients like root beer milk, gianduja, and lavender extract? Sure, I'll give it a try. Let's be honest though — not a whole lot of people want to go out and source stuff like candy cap mushrooms for blondies and lilacs for sugar donuts. And sometimes, the most amazing things are made from the ingredients that can be found in everybody's pantries with no extra shopping necessary. The best shortbread cookies, for instance, are made from nothing but flour, sugar, and (a TON of) butter. Sprinkles can be made from just powdered sugar and a couple of eggs. 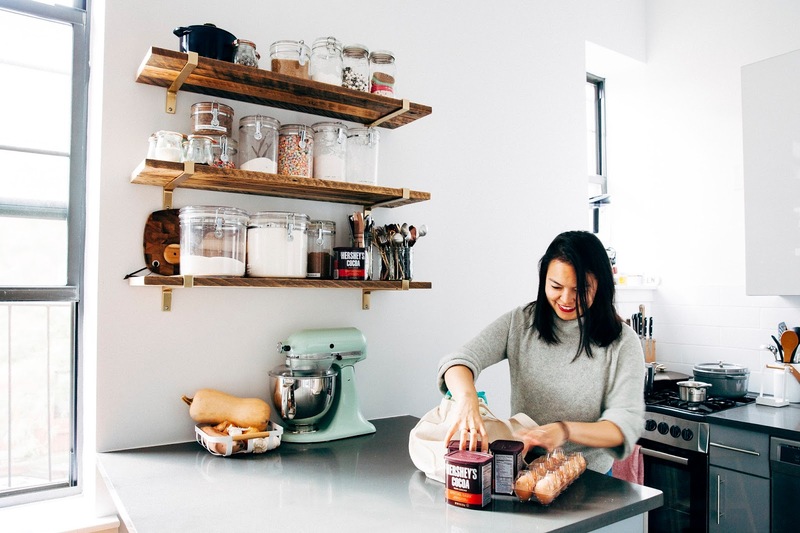 So today I'm going to show you guys the simple staples that are always in my pantry (well, open shelves) and refrigerator, as well as share a recipe that you can make with just those basic ingredients. At any given point in time, I always have these three items in my fridge. They're incredibly flexible and can be used in both sweet and savory recipes, breakfast, lunch, and dinner meals, etc. 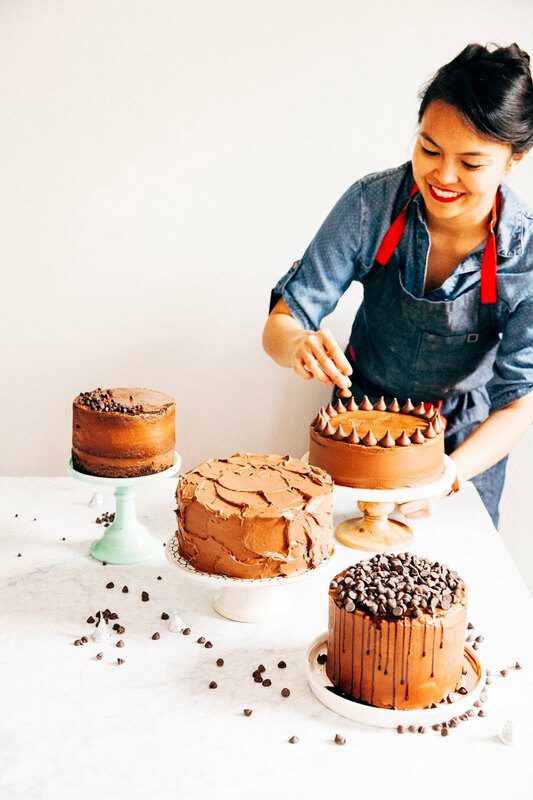 They're also the ingredients that primarily give baked goods their structure with their fat and protein components. Even if you're not a big baker, flour is still a must-have in your pantry. Flour is incredibly versatile and can be used as a thickener, stabilizer, or coating for extra flavor. And almost all dishes can be brightened up with a dash of sugar and a generous sprinkling of salt. I like kosher salt as its texture is prone to sticking to crevices and absorbing more flavor. 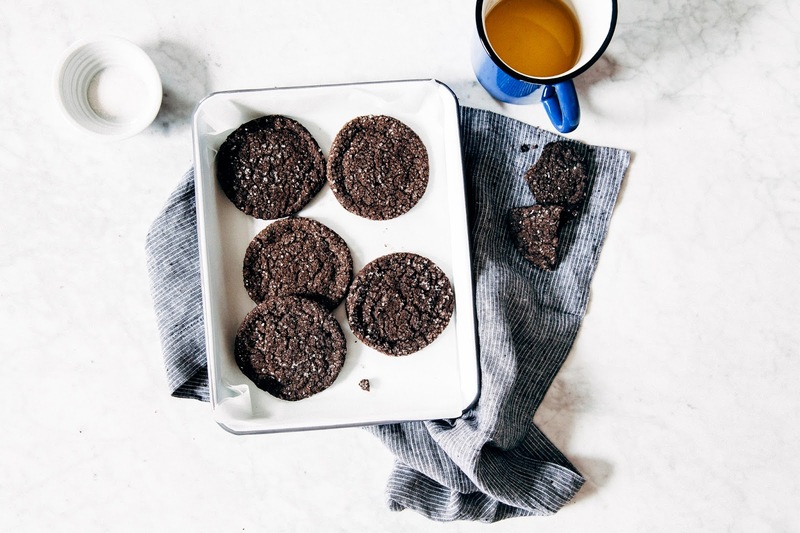 Indeed, these chocolate sugar cookies come together incredibly easily from just the basic ingredients in every baker's pantry. Their texture is soft and crumbly in the center, with crisp edges and crunch from the sanding sugar. 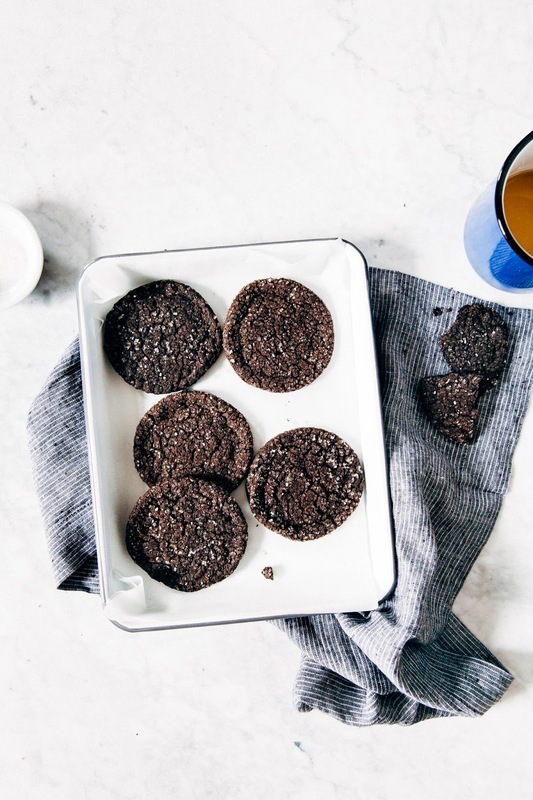 And despite their simplicity, they're packed with a ton of chocolatey goodness flavor — it's almost like a brownie met a cookie and came together to form a cross between the two. I used sanding sugar to make the cookies extra-textured and sparkly since sanding sugar is traditionally coarser and has larger granules than regular granulated sugar. Sanding sugar can be found in specialty baking and/or craft stores. In a pinch, you can also use demarara (raw) sugar, which is just as coarse as sanding sugar and more readily available in almost any supermarket. It will give the cookies a slightly golden sheen though. 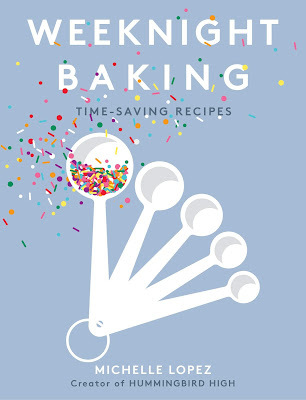 And finally, regular granulated sugar will work too — your cookies will just look less sandy and sparkly. I refrigerated my dough for an hour or so to make it easier to work with, but you can also just bake it without this process if you're strapped for time. They'll taste exactly the same, but the cookies will be flatter and craggier without the chilling process. Thanks to HERSHEY'S for sponsoring this post by providing the compensation and ingredients to make it happen! 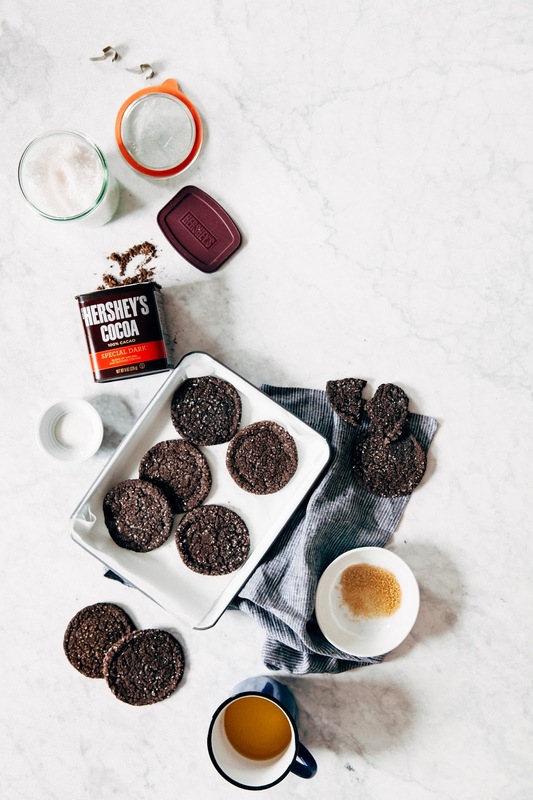 I'm one of the bloggers participating in HERSHEY'S Bake Happy Challenge, where we'll be spending the next few months sharing our best recipes, tips, tricks, and anything to encourage all you lovely folks to bake. Be sure to check out my Facebook page to participate in the challenges for a chance to win HERSHEY'S products! Thanks again for supporting Hummingbird High and all my wonderful sponsors! 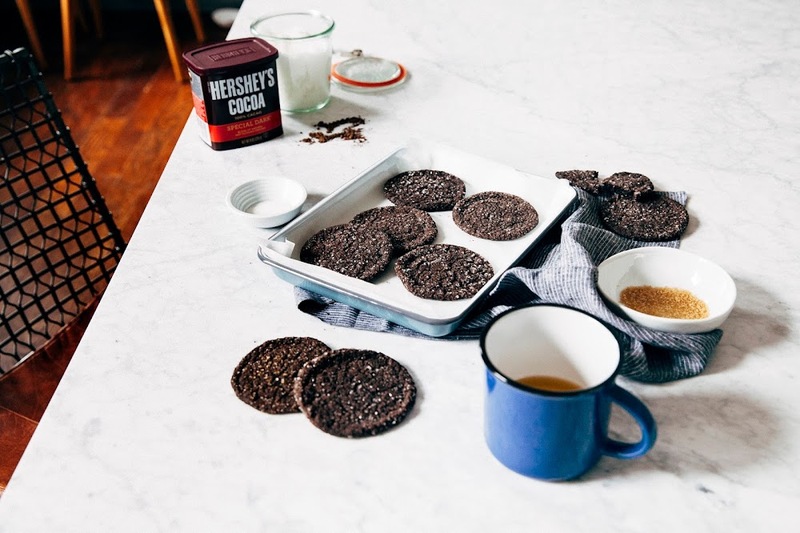 In a medium bowl, combine 2 cups plus 2 tablespoons all-purpose flour, 3/4 cup HERSHEY'S SPECIAL DARK Cocoa, a pinch of ground cinnamon, 1 teaspoon baking soda, and 1 teaspoon kosher salt until well combined. Set aside. In the bowl of a freestanding electric mixer fitted with a paddle attachment, combine 1 1/4 cup unsalted butter and 2 cups granulated sugar. Beat on medium-high speed until light and fluffy, at least 5 minutes, scraping down the sides of the bowl occasionally. Once the mixture has doubled in size, lower the mixer speed to its slowest setting. Add 2 large eggs one at a time, only adding the second egg when the first egg has fully incorporated into the mixture. Add 2 teaspoons pure vanilla extract, then, with the mixer still in its slowest setting, add the dry ingredients (from the 1st step) and continue mixing until the flour mixture just about disappears into the batter. Stop the mixer and cover the bowl with plastic wrap. Allow the dough to chill in the refrigerator for 30 minutes or 1 hour, until firm enough to scoop but not so hard that it gives you resistance when doing so. While the dough is chilling, center a rack in the oven and preheat to 350 (F). Line 2 baking sheets with parchment paper, set aside. Transfer 1/2 cup sanding sugar to a small bowl. Remove dough from refrigerator. Use a 3 tablespoon cookie dough scoop to scoop out around 30 dough balls, and roll each dough ball in the bowl of sanding sugar (from the 4th step) until it is entirely covered. Arrange on the baking sheet, leaving 2 inches between each dough ball to allow the cookies to spread. Gently press down on the top of each cookie to flatten it slightly. Bake in the preheated oven for 11 to 13 minutes, until the edges have set and the centers are puffed and starting to crack. Transfer the baking sheet to a wire rack and allow the cookies to cool on the sheet for 20 minutes, before turning out on the wire rack to cool completely.